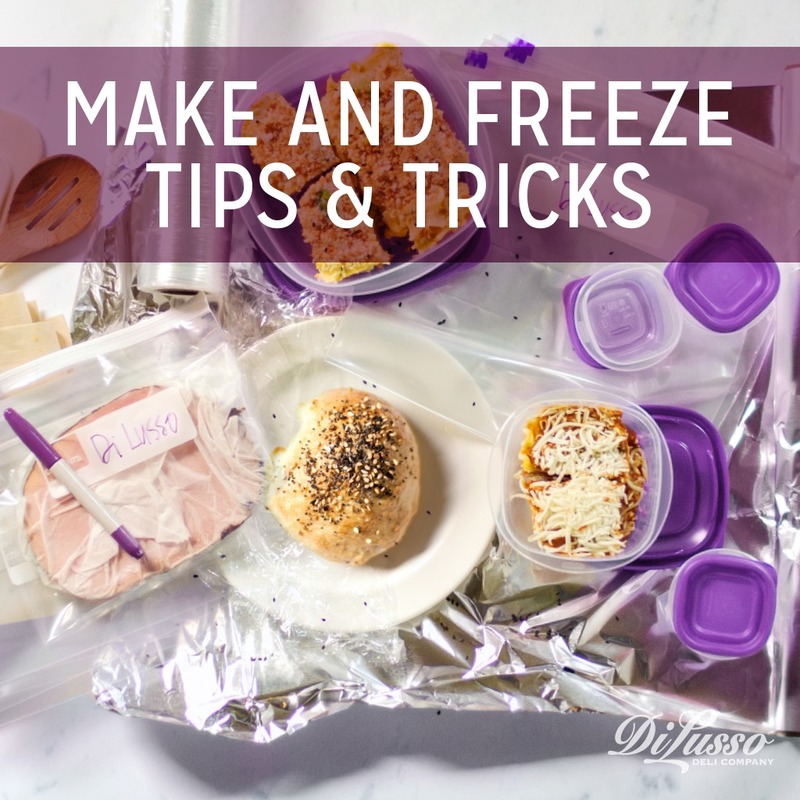 It seems like you can never have enough make ahead freezer meals and snacks at the ready. They’re life savers when your week is packed with practices, recitals and games on top of school and everything that goes along with that – catching the bus, homework, PTO meetings…They’re also great to have on hand when company pops in at the last minute or when the kids have friends over. You don’t even have to devote hours or an entire day to prepping the freezer recipes that follow. Just plan to double one recipe this week. Eat the first batch right away. Let the second batch cool while the family eats. Wrap up the second batch and place it in the freezer to use another time. When those extra busy weeks hit, you’ll be glad that second batch is waiting for you in the freezer. But before we dive into recipes, let’s go over some ground rules. 1. Use non-porous dishes for freezing – glass, freezer bags or disposable foil pans. 2. Let meals cool fully before wrapping for the freezer to prevent condensation, and as a result, soggy dishes. 3. Wrap as airtight as possible to prevent ingredients from drying out and sliding around. This is especially important with meals (like pizza) that have ingredients that are prone to shifting. 4. Double wrap meals so ingredients don’t dry out and get freezer burn. Cover with plastic wrap first, and then with a layer of aluminum foil. 5. Label your meals using a permanent marker so it won’t rub off if there’s condensation. Include the name of the meal and baking instructions such as oven temperature and bake time. 6. You don’t need to thaw any of these before heating. Simply place the frozen meal directly into the microwave or oven and heat as directed. 7. Meals taste best when they’re eaten within 2-3 months of freezing. After that, ingredients tend to dry out. Now, let’s get to the tasty stuff. 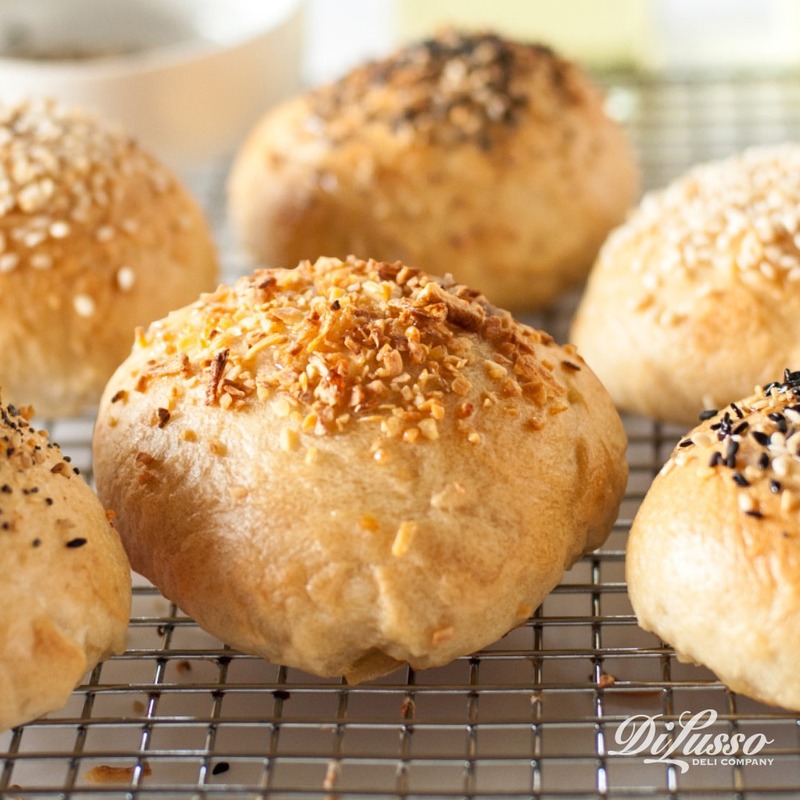 Delightfully cheesy on the inside, perfectly browned on the outside and sprinkled with everything bagel seasoning, these are quick and delicious for breakfast, lunch or a snack. Just wrap frozen bagel balls in a paper towel and microwave on high for 1 minute, or until warmed all the way through. They’re also incredibly versatile. You can fill them with nearly any combination of ingredients. For breakfast, we filled a few with scrambled eggs, our smoked ham and Wisconsin sharp cheddar cheese. We used our cracked pepper turkey and pepper jack cheese to make a slightly spicier version. 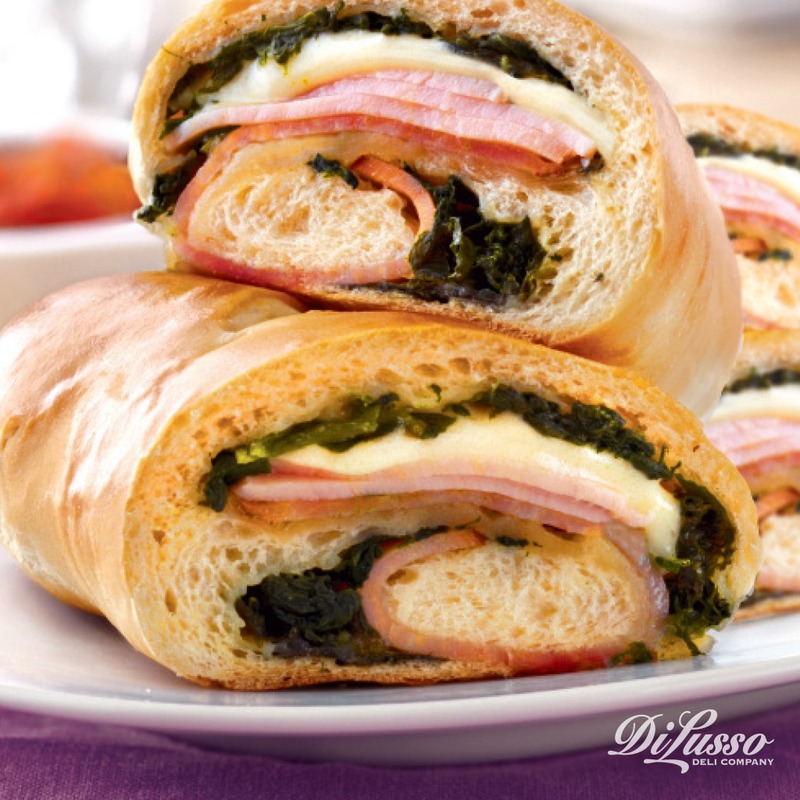 Stuffed with spinach, our provolone and sun-dried tomato turkey, you’ve got a well-rounded meal wrapped and ready to go. It’s hearty enough for the dinner table, yet portable enough to grab and go for lunch or a snack. Simply wrap frozen Stromboli in a paper towel and heat for 30-second intervals in the microwave until warmed through. Play with ingredients based on some of your family’s favorite meals. For a pizza inspired version, fill with marinara sauce, and our pepperoni and mozzarella. Try using our Black Forest ham and swiss for a handheld version of the classic hot sandwich. Here’s one that’s great for after-school or before-practice snacking. 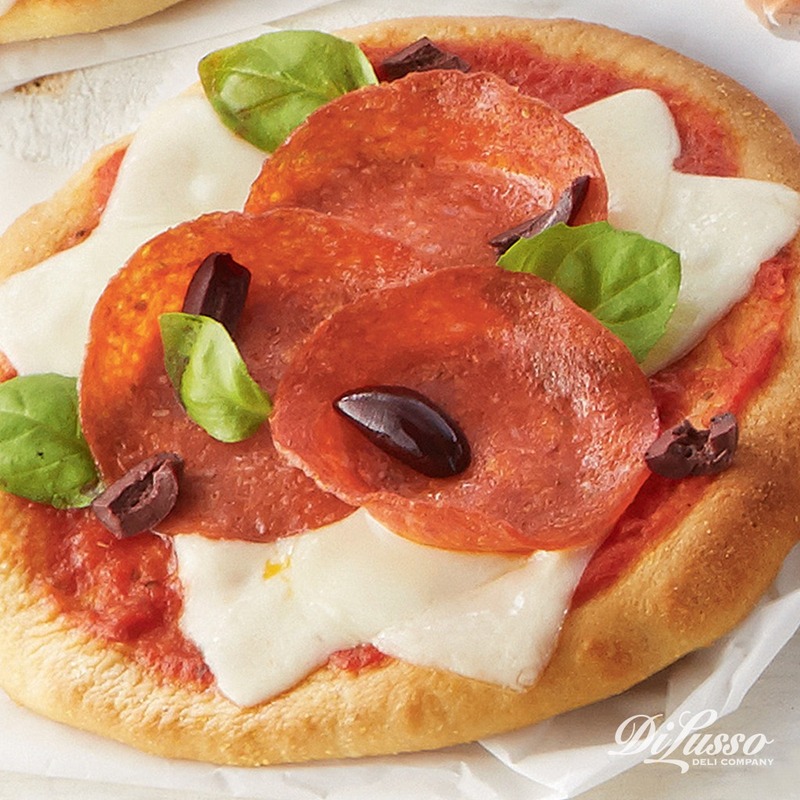 Just unwrap frozen mini pizzas, pop in the oven at 450° for 10-12 minutes and serve! We made ours with pepperoni, provolone, mozzarella and pitted kalamata olives. After baking, we topped it off with fresh basil. But like any pizza, they’re very versatile. 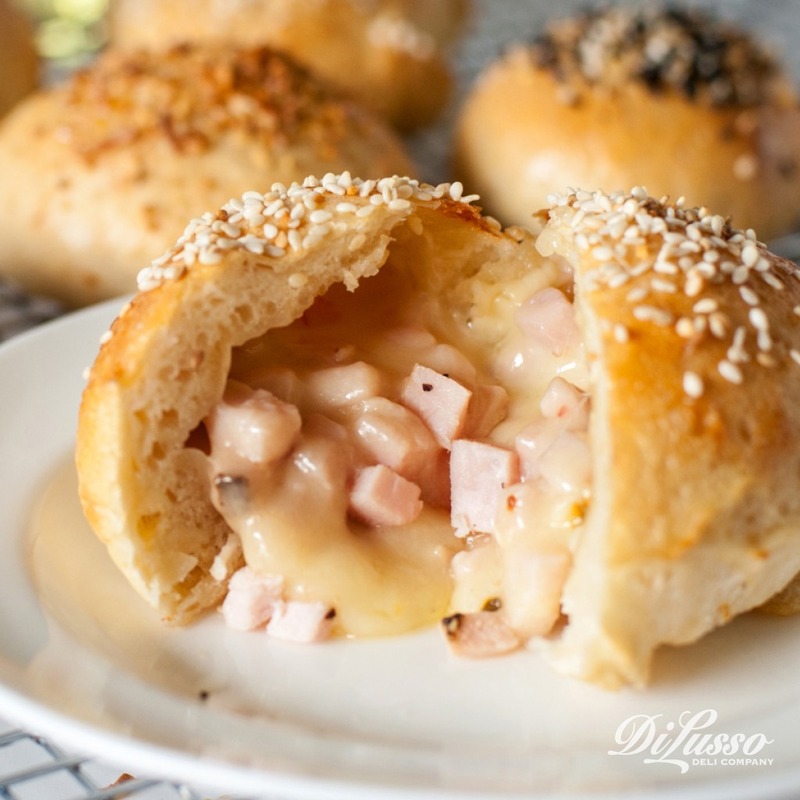 Just make with your kids’ favorite ingredients. If you’re using pre-made pizza crusts, you don’t even have to bake these before freezing. Simply top with ingredients and wrap tightly so your toppings don’t shift if your pizza gets jostled in the freezer. If you’re making homemade pizza dough, partially bake (called par-baking) the dough before freezing so you don’t end up with a soggy crust. 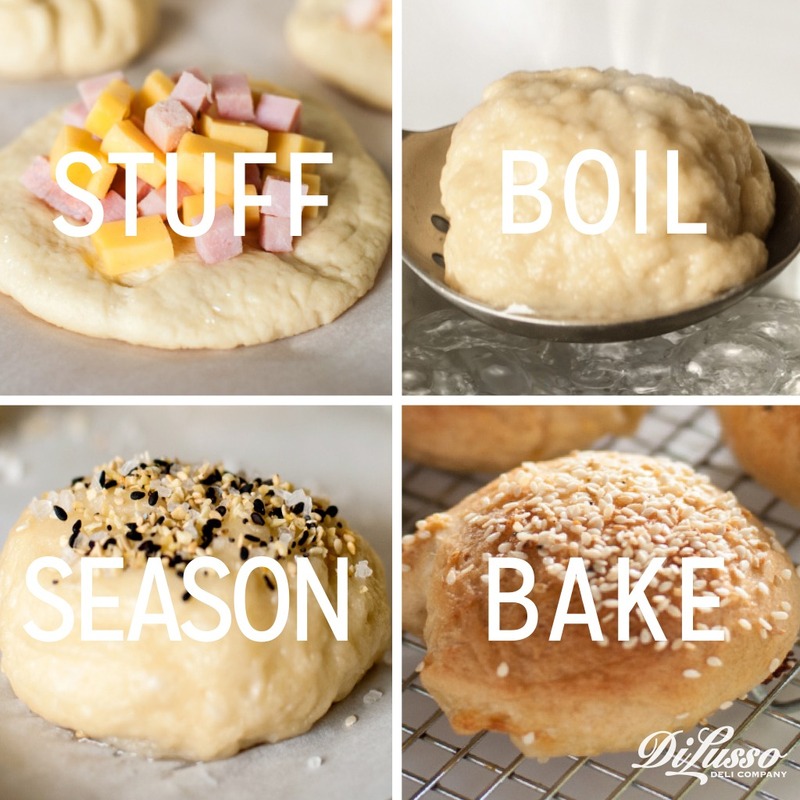 When par-baking, you typically want to bake the dough for about half the time you normally would. Let the crust cool completely, then add your toppings and wrap tightly. You can use the same process for full-size pizzas as well. So whether it’s a there’s-no-time-to-grocery-shop kind of week, or an I-just-don’t-have-the-energy-to cook kind of day, you can take comfort in knowing these meals and snacks are waiting for you in the freezer.